Foodies love to taste and enjoy different kinds of foods. Along with the raw ingredients, spices are what make the food so tempting and flavorful. This is all the more applicable for Indian foods and recipes. If you ever get to check the complete Indian spices list, you will be highly surprised to see the large varieties of items that are listed there. There are many places from where you can buy authentic Indian spices. But just buying them is not enough. It is also important that they are stored properly so that their freshness and flavor are retained for a long period of time. Store the spices in dark – You might have lovely looking artisan spice jars and keeping them on the windowsill will enhance the beauty of the kitchen as well. But you might not know that direct sunlight will lead to flavor loss of the spices, even if they are stored inside the jars. Keeping spice jars in cupboards and drawers is the best thing to do. If you still want to display your jar collection, take out small amounts of the spices in the jars and use them quickly. Moisture should be avoided completely for storing spices – Moisture plays a major role in threatening shelf life of spices. Refrain from keeping the spices near the stove or even in the refrigerator. The measuring spoons should be completely dry before you use them for taking out spice from the container. Don’t sprinkle the spice directly into the pot or pan in which cooking is on as this might attract moisture and affect the spices. Use airtight containers for storing spices – Air exposure is detrimental to spices. The flavor of the spices vanishes quickly with air exposure. Whatever be the kind of container you choose for storing your spices, ensure that they are air tight in the best manner. Commercial–grade plastic bags are highly recommended by experts as they seal in the freshness of the spices for long. Keep the spice containers away from heat – Keeping the spice containers above the stove area might be convenient for you, but this is sure to degrade the taste of the spices. Along with the stove area, keeping the spices away from the dishwasher is also recommended. The spice containers should be kept away from all kinds of heart sources. Better to buy whole spices than ground spices – Another way to keep spices in good condition for long is to buy whole spices and grind them at home. There is no need to grind all the whole spices at once and store. Rather you can grind some, use it and then freshly grind again. This will help in retaining the flavor and freshness of the spices for many days. Track the age of the spices – Whether you buy Indian spices online or otherwise, it is always important to keep a track of the age of the spices. Check the purchase date. Whole spices have longer shelf life when compared to ground spices. After that period, the flavor and freshness of the spices reduces considerably. 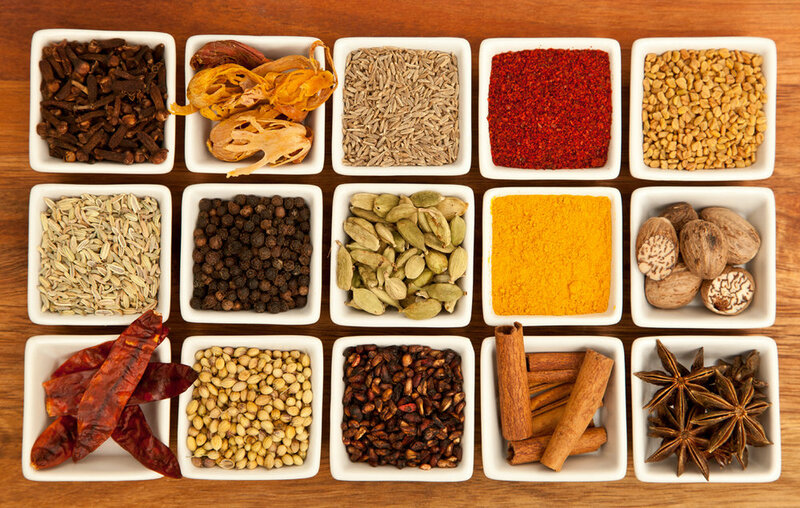 Buy organic Indian spices online and use these tips to keep them fresh and flavorful.